The king of the yantra is Sri Yantra. 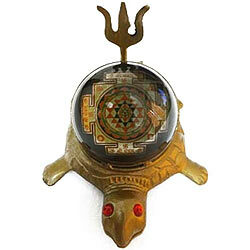 This Koorm Prishtha Sri Yantra Tortoise if kept at home and worshipped daily gives swift results in the form of monetary gain and all round prosperity. Place it in the North East direction.